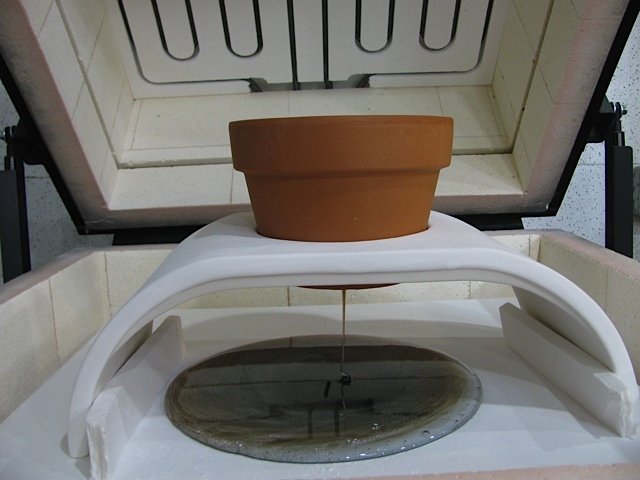 Making a pot melt: Cut pieces of glass are heated up to 1700 degrees and then the glass melts through the hole in the clay pot to form a perfect disk. 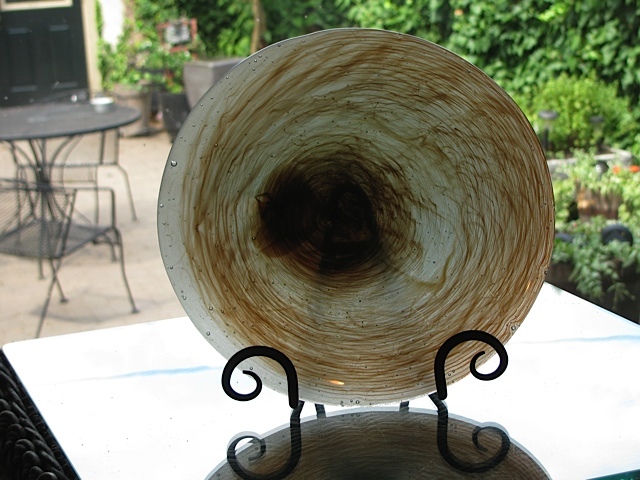 Each one is unique and always a surprise. 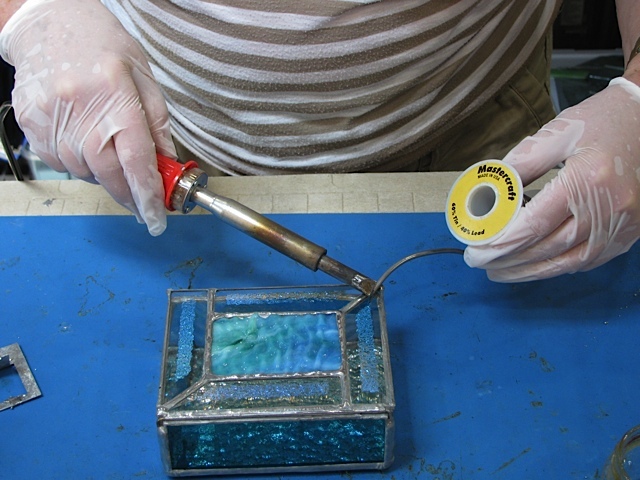 Stained Glass Boxes are made by foiling each individual piece of glass and then soldering the pieces together. 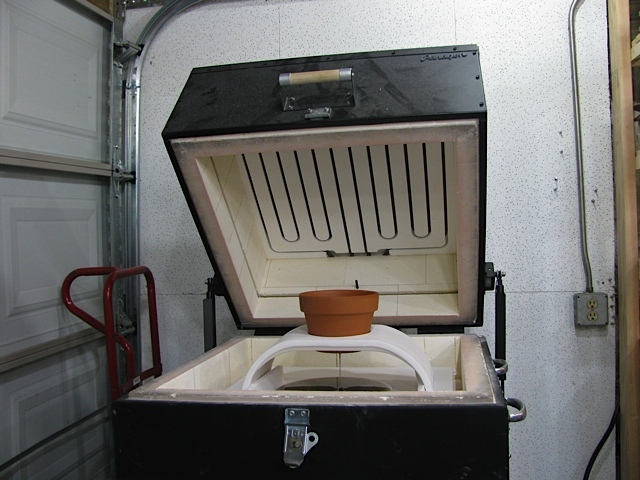 In this way, boxes can be made in any shape or size. 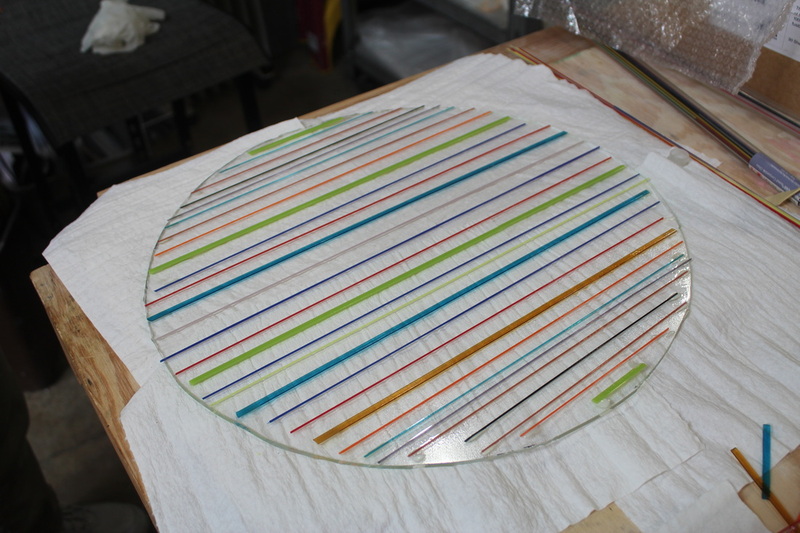 Fused glass pieces are created by layering two pieces of glass and fusing them at 1465 degrees for 8 hours. 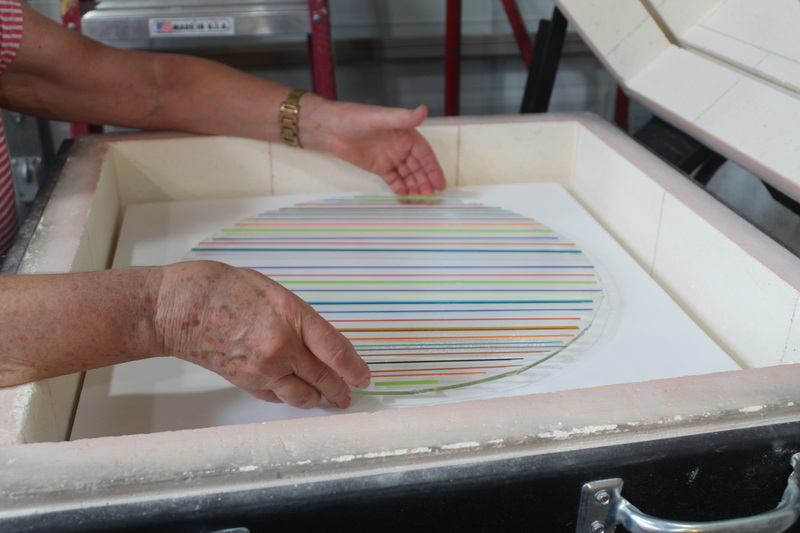 After cooling, the fused glass is melted over a mold at 1250 degrees for 8 hours before achieving its final shape.